Bringing dignity and care to those in need. There are over 1,100 people experiencing homelessness in Marin County, with nearly 65% of them unsheltered. And there is only one location in Marin County to get a free shower. 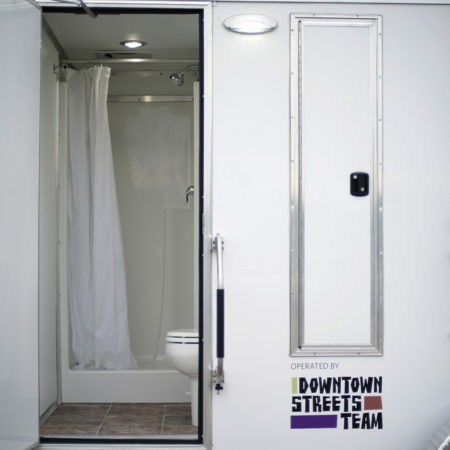 The Showers, operated by Downtown Streets Team, is comprised of two mobile shower/restroom trailers that will travel to different locations throughout the County to bring showers to those in need. 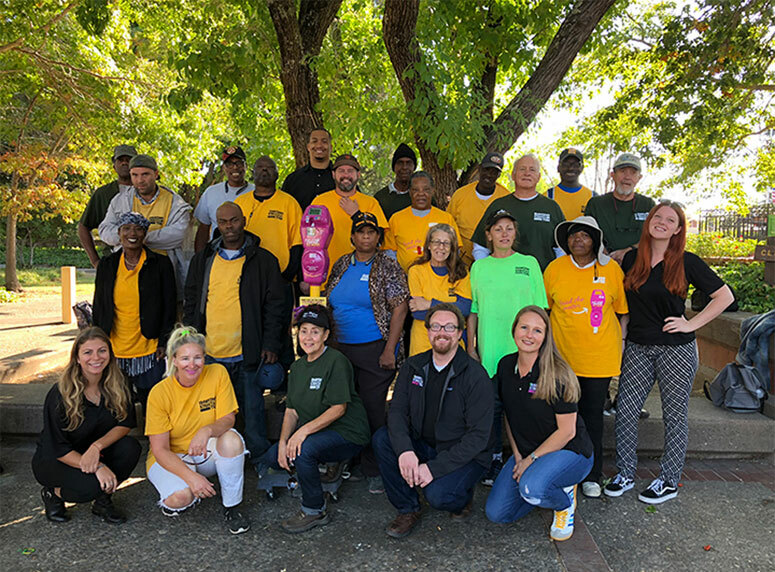 Volunteers welcome clients with a smile, provide a fresh towel and offer the opportunity to connect with available housing and local service providers. Sean joined the Novato Downtown Streets Team and showed us his excellent leadership skills, so we hired him to be our Assistant Manager. Read his story. Everyone deserves to be clean. Showers are a basic need, not a privilege. 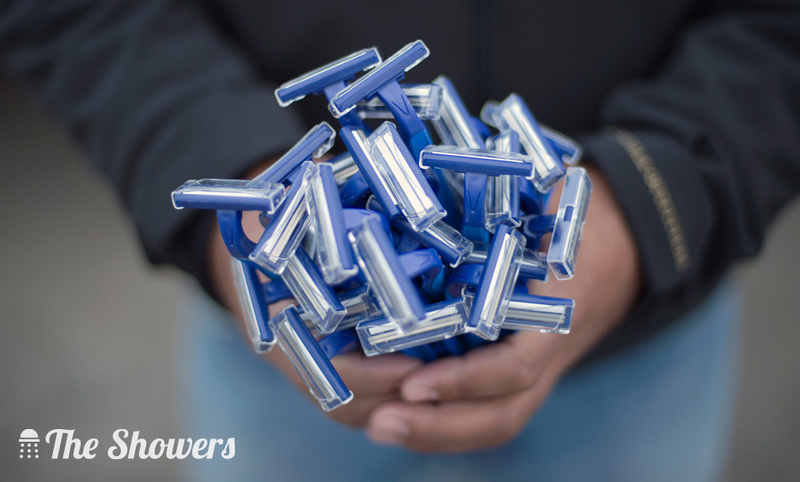 We can’t overstate the impact of good hygiene on a person’s physical and mental health. It is a critical first step to looking for and keeping a job, finding a place to live, and rediscovering dignity. We are piloting The Showers program early 2018 in San Rafael and Novato, while identifying future locations throughout the County. 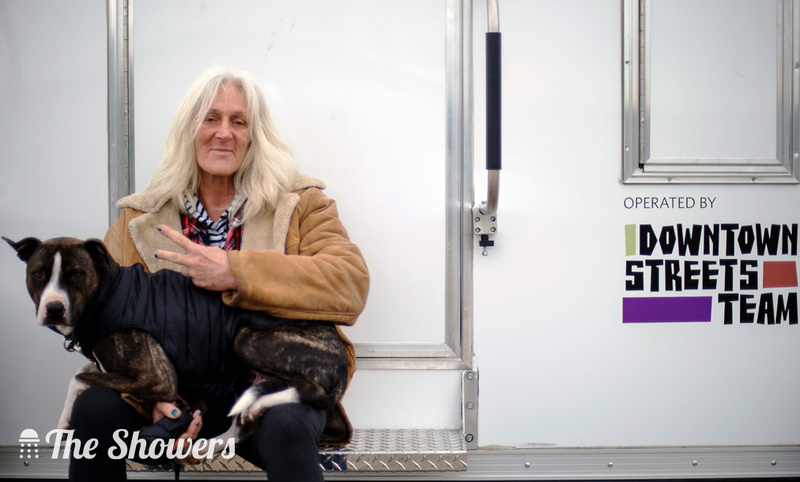 Working in conjunction with the County of Marin’s Coordinated Entry System, we are better able to connect our unsheltered neighbors to available resources that assist them in ending their homeless experience. Marin Mobile Care received start-up funding for our first year from Marin Community Foundation and Marin County Council of Mayors and Councilmembers. 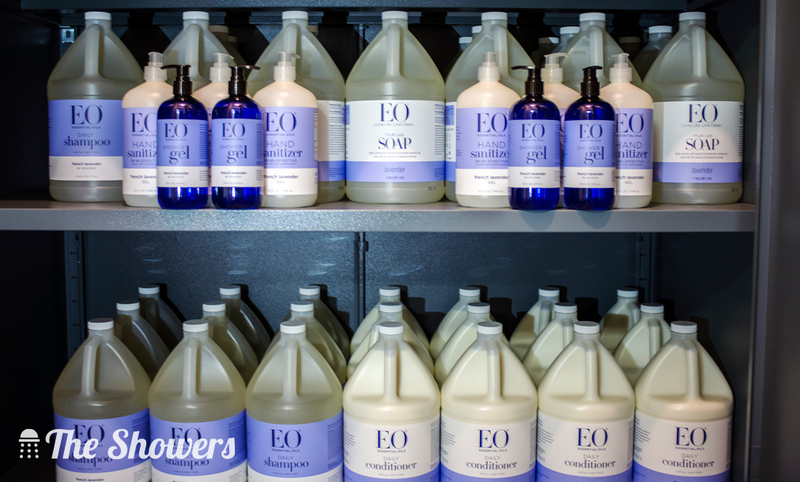 EO Products has generously supplied us with a continuous supply of shampoo and soap! But we need your help to sustain the program as we help people take an important step out of homelessness. Your help is what makes this work. Bring your hospitality skills and make a difference. We promise it will be rewarding. 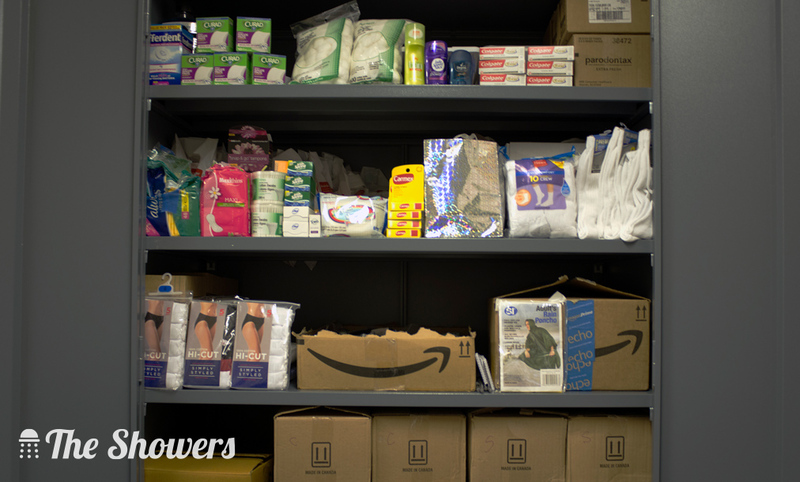 While we are good on towels and shampoo, we can always use new socks, undergarments, feminine hygiene supplies and other toiletries. 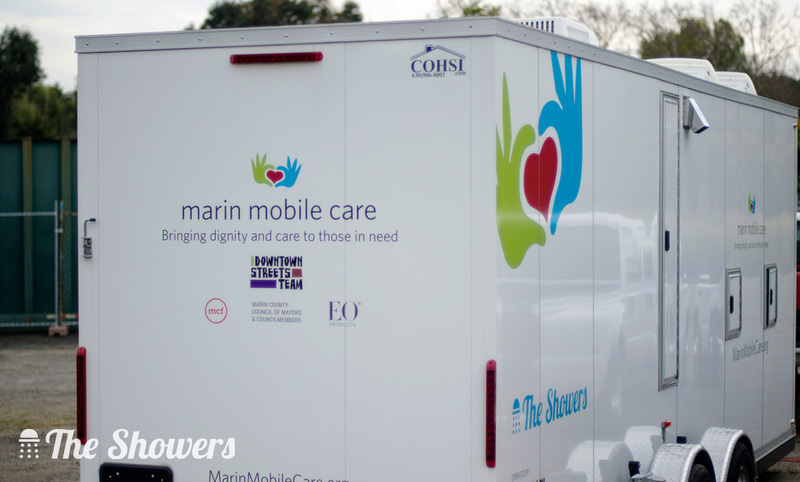 Your donation helps us sustain and grow the Marin Mobile Care program. Tax deductible too! 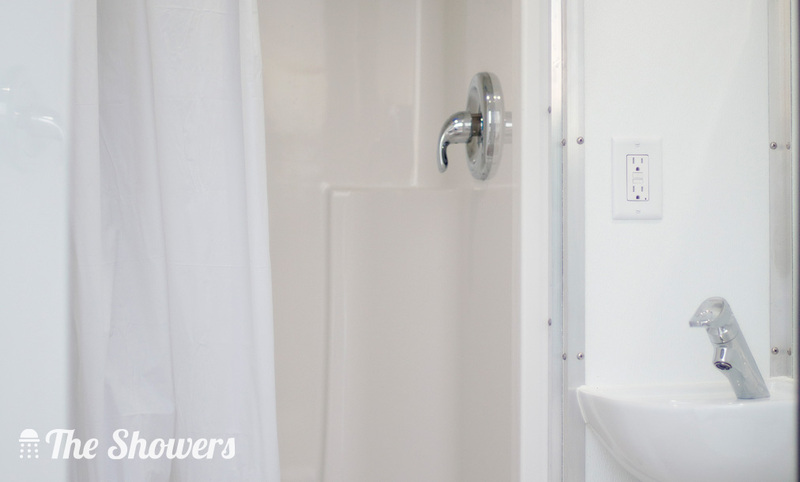 We think The Showers are friggin’ awesome! 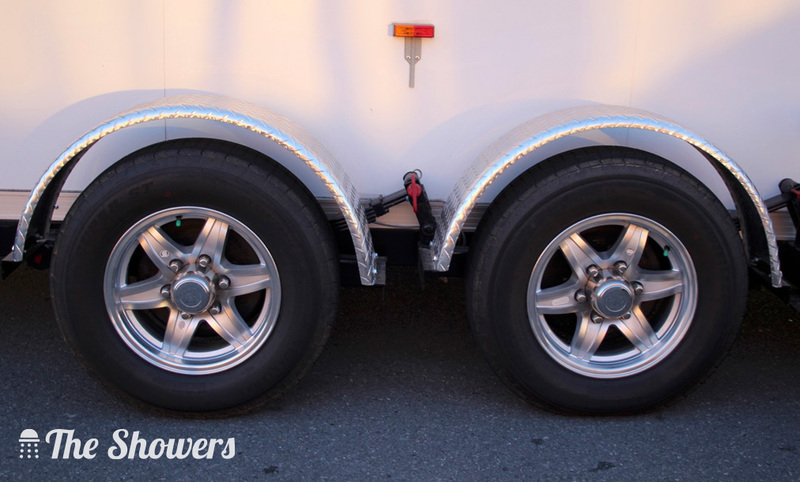 Each of our beautiful trailers has three shower stalls with toilets. 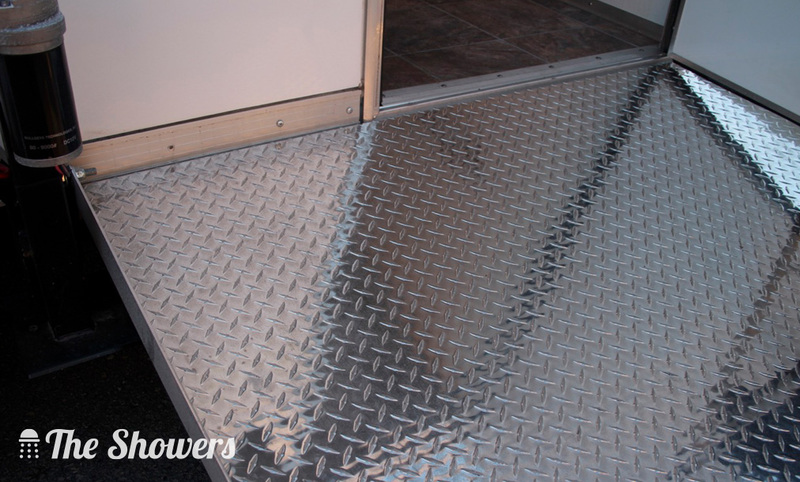 One is California ADA compliant with a drop-down ramp for access. 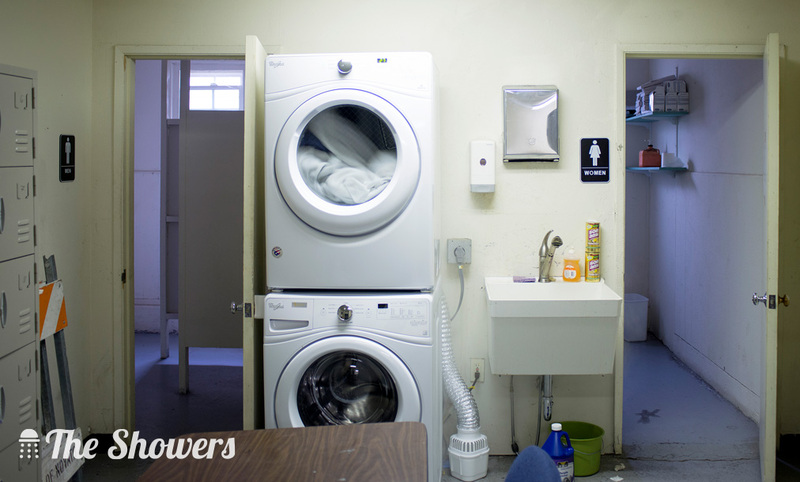 Our clients get 20 minutes during their appointment, which includes a 10 minute shower. 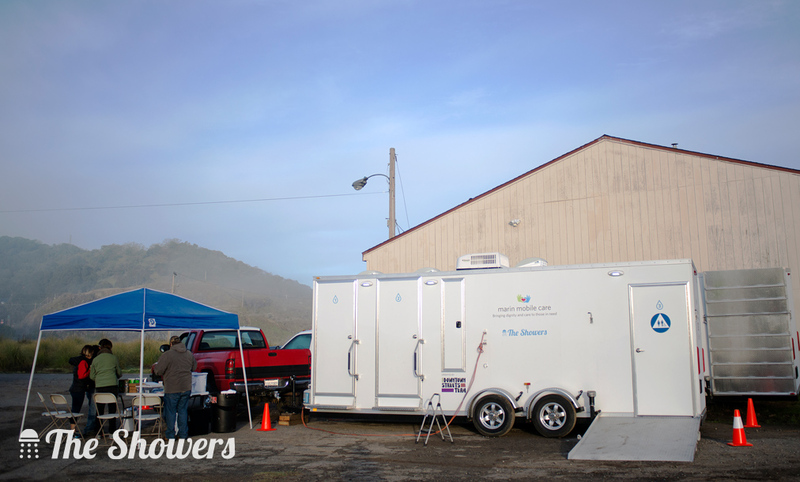 We are the first public shower in Marin to serve families experiencing homelessness. We offer free shampoo, conditioner, body wash and clean, fresh towels. 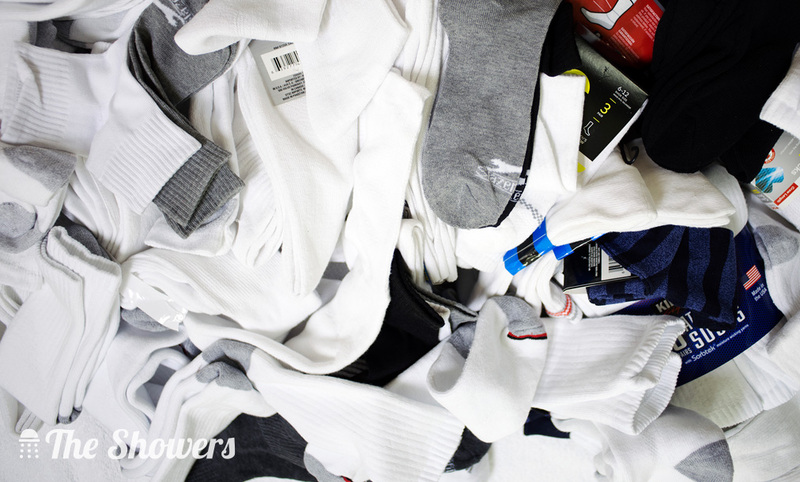 Combs, razors, toothbrushes, and socks will be provided when available. Our clients provide the smiles afterward! Everyone deserves a friendly hello. 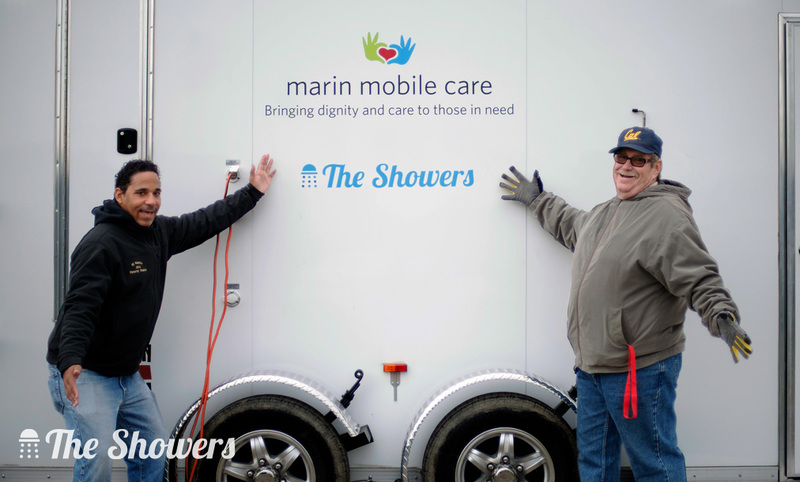 Our volunteers are dedicated to supporting the Marin Mobile Care staff. With a warm, friendly smile, they’ll greet participants with soap and a warm towel. 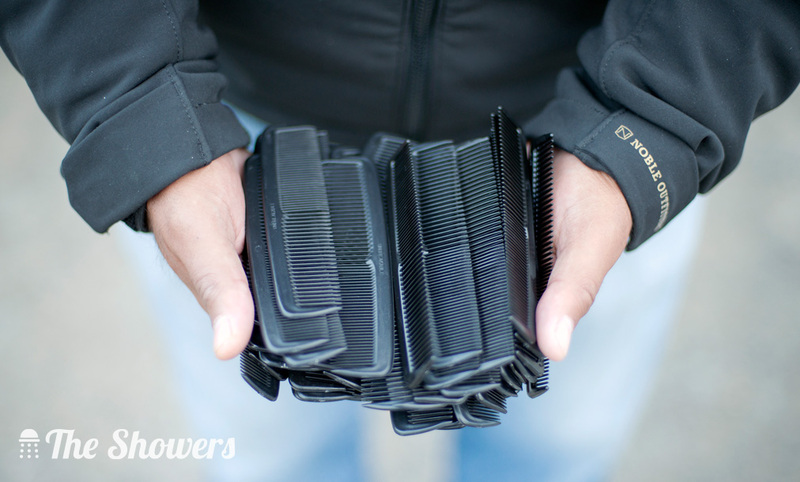 Need a comb or some socks? They’ve got you covered. We are Downtown Streets Team. Working to end homelessness through the dignity of work.